Classy Kitchen Designs, like classy women, stick to tried-and-true techniques to add beauty, instead of counting on trends. As you notice the patterns of popular classy kitchens, you will be able to create a lovely, lasting kitchen. Let the patterns outlined below help you to make shopping and design decisions for your kitchen re-design or refresh. Pattern One: Solid Black or White. Think of a string of pearls or a black dress. These are staples that will look beautiful for years and years. 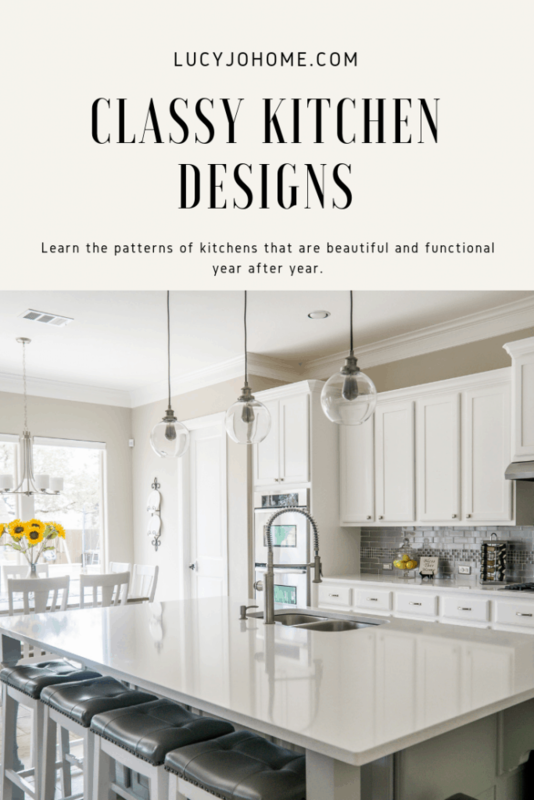 I love beautiful, colorful patterns, but when it comes to expensive and highly used items in your kitchen I suggest you stick to solid colors and durable materials. 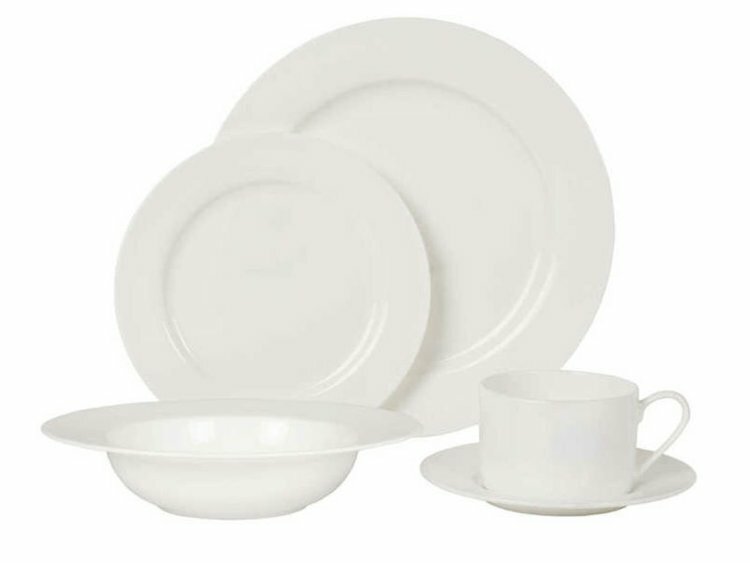 A set of solid white or black dishes will be beautiful in kitchen after kitchen and table after table. This page contains affiliate links for your convenience (which means if you make a purchase after clicking a link I will earn a small commission which helps keep my blog up and running but won’t cost you a penny more)! Click here to read my full disclosure policy. Pattern Two: Durable Materials like stainless steel, copper, tile and wood will always have a place in a kitchen because they can stand the consistent use required of the space. This kitchen is filled with durable materials that look beautiful and will take a beating. There is wood, tile, marble, and metals: brass, copper, etc. Check out the other pattern here…greenery. The greens in this scene are stunning and make a difference. Remember you can use greenery from your own yard during seasons it is available and you can use faux greenery and flowers in the winter. Pattern Three: Mix of cabinets and open shelving. 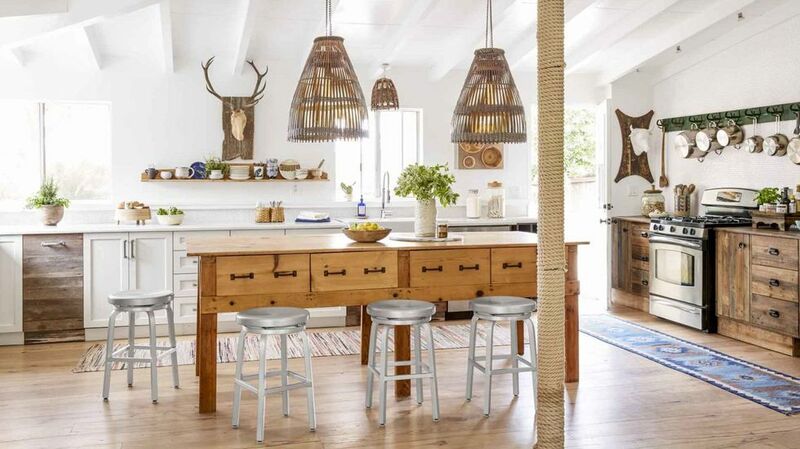 This kitchen has a lot of workspace, storage and a nice mix of durable materials. This kitchen also features statement lighting. Pattern Four: Natural Light. This kitchen is full of natural light from the windows. This space is bright, minimalist and functional. 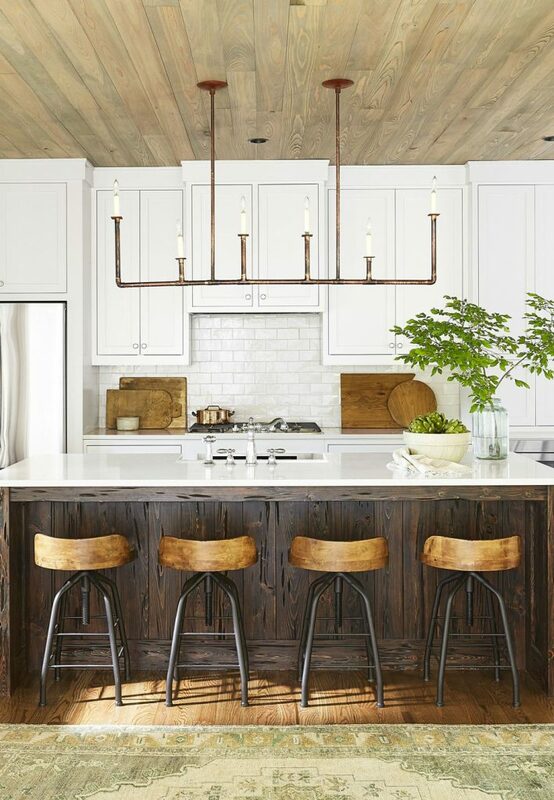 Check out the statement lighting near the countertop and the island too. Pattern Five: Focal Points. As you can see in this photo, there is beautiful art on the walls. 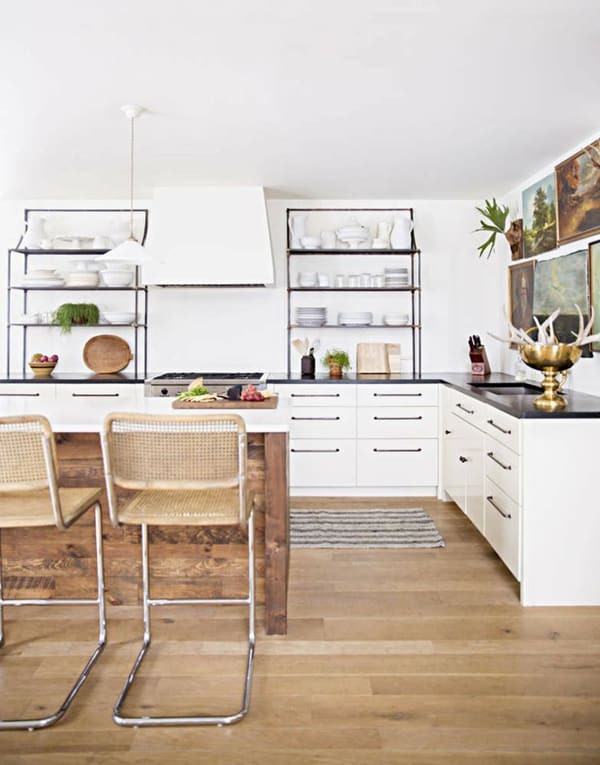 The art and the carefully styled open shelves are examples of focal points. 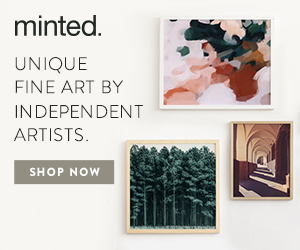 Below are some great sources for art and accessories for your kitchen. Pattern Six: Highly Functional. Every kitchen should function well for your family. It would be really frustrating to have a gorgeous kitchen and not be able to cook and clean in it. Remember that form follows function, especially in high traffic areas of your home. This kitchen has plenty of space and follows the kitchen triangle: stove/oven, sink and countertop. This kitchen also features another pattern…pretty pops of color through the flowers, fruit, glass bottles and kitchenware.